Want more quality time with your little one? OFC is hosting an 8-week infant class for LGBTQ+ parents and caregivers. This parent-child interactive group helps support parent-child bonding, infant health, and increases know-how about your infant's cognitive, physical and language development! Guest presenters will attend on certain sessions to discuss infant-related topics, such as lactation, child care or babywearing, and to share resources with participants. 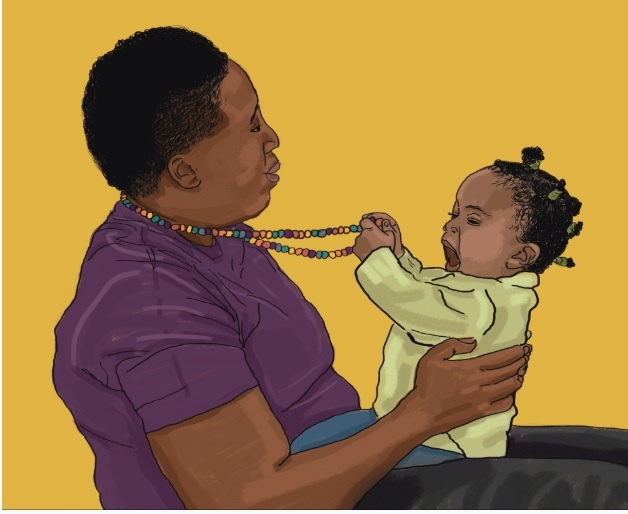 Baby & Me will meet weekly on Fridays from 11:30am-1:00pm starting September 7 through October 26, 2018 at Community Well (78 Ocean Ave, San Francisco). Space is limited, so we encourage you to register in advance for sessions, but drop-ins are also welcome. First-time participants will need to complete a brief intake upon arrival. For more information, please contact SF Programs Coordinator, Jeannette Page at jeannette@ourfamily.org or 415-981-1960 x309.